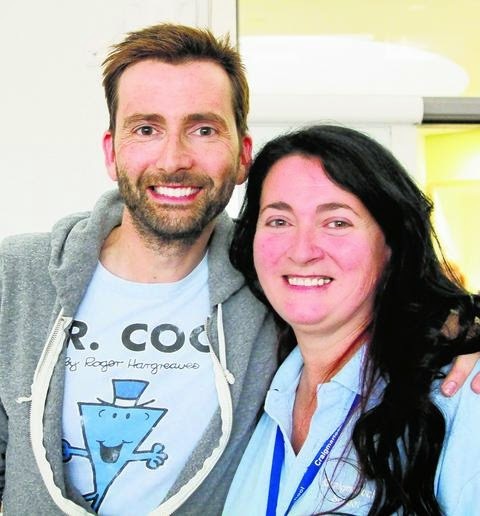 On Monday 17th November, David Tennant visited Craigmarloch School in Port Glasgow, Scotland. This is a school for children with additional needs and is where his elder sister Karen teaches. Apparently David visited all the classrooms and even entertained the children by reading from The Gruffalo. For posts related to David Tennant's visit to Craigmarloch School (with more detail) on Blogger.com click here.